With this offer featured on Travel-ticker, you can stay in the four-star On the Ave Hotel, right next to the Central Park and other New York attractions from only $119. Save 30% off of your luxury hotel stay with On the Ave Hotel! 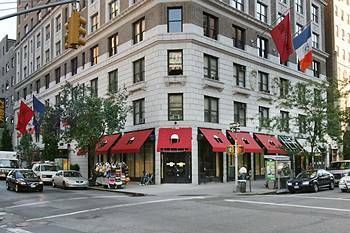 For those who have not yet heard about On the Ave Hotel, it is a quite fashionable, high end boutique hotel very close to the Central Park, the Museum of Natural History and other Manhattan attractions. If you book by November 24, you can enjoy the low rates by traveling through March 31. The hotel is only 19 miles from JFK Airport and 10 miles from La Guardia, plus, it is really close to 5th Avenue and Madison Avenue – just across Central Park! 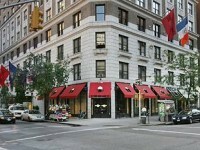 There are many nice hotels in New York, but there is nothing better than a nice boutique hotel like this one. This entry was posted on Thursday, November 3rd, 2011 at 8:58 am and is filed under Hotel Deals. You can follow any responses to this entry through the RSS 2.0 feed. You can leave a response, or trackback from your own site. A boutique hotel is a hotel that does not belong to any large chain, it is smaller, might have from only a few rooms up and is usually themed. Boutique hotels are appreciated for their individual style, their coziness and for being different.